Uptown Xpress specializes in making wedding receptions unique and personal here in Montreal and Ottawa. There are many ways we can do that, one of them is by telling a Love Story. 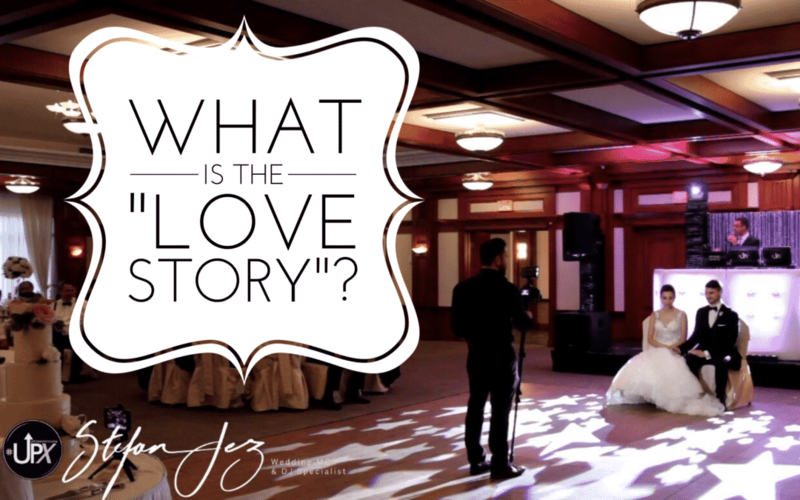 The Love Story is a narrative that Stefan will read at your reception, usually right before your first dance. The Love Story is a way to let everyone know more about your relationship with your spouse! How did you meet? How long did you date? How did he propose (or maybe she proposed)? Both the bride and the groom will actually write their love stories separately, and privately. You can’t share this part with your partner! Stefan then takes both stories, and combines them into your Love Story. The best part about this is that the details usually are quite similar, but differ slightly. The details are told from both perspectives, so it’s always fun to hear both sides! And that is where Stefan’s training on how to present and write a Love Story comes in! Imagine the surprise everyone will have when they get to hear a very well told story about you! It is one of our favorite parts of the night because it is so special. Not to mention no other DJ in Montreal does this, so your guests will have never seen this done before! It will be something they remember forever! Here is a Love Story we captured at Amanda and Martin’s wedding. Notice how everyone in the room was totally captivated by the story and wanted to hear what came next! Here are Amanda and Martin telling us about their Love Story experience… they loved it!